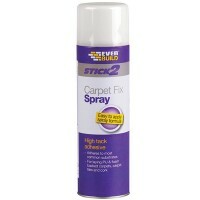 Everbuild Carpet Fix Contact Adhesive Spray Features Size 500ml. 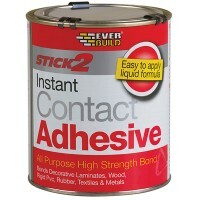 Coverage: 4 sq met..
Everbuild Contact Adhesive Instant Bond Features Size 30ml. 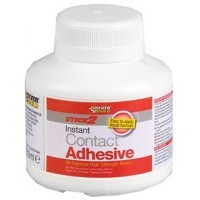 Stick 2 contact adhesiv.. Size 250ml. 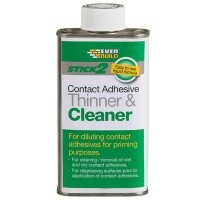 Thinner and cleaner is a highly aggressive solvent specially blended. 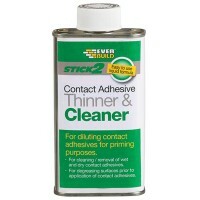 ..
Everbuild Contact Adhesive All Purpose High Strength Features Size 750ml. 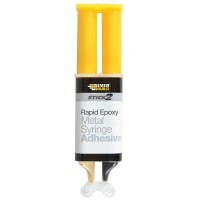 Stick 2 A..
Everbuild Rapid Metal Epoxy Syringe Features Size 25ml. Rapid epoxy metal is a two ..
Everbuild Contact Adhesive All Purpose High Strength Features Size 250ml. 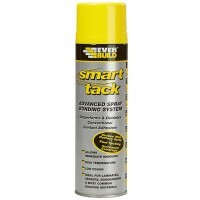 Stick 2 A..
Everbuild Smart Tack Adhesive Spray Features Size 500ml. Advanced spray bonding sys.. Size 1 litre. Thinner and cleaner is a highly aggressive solvent specially blended. 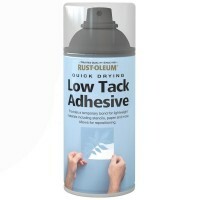 ..
Rust-Oleum Low Tack Adhesive Glue Spray Features Size: 150ml. Colour: clear. 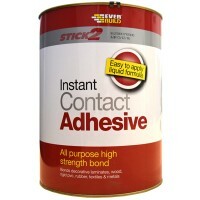 ..
Everbuild Contact Adhesive All Purpose High Strength Features Size 5 Litre. Stick 2.. 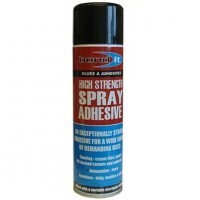 Bond It ABDA007 Spray Contact Adhesive Features Size 500ml spray can. Exceptionally.. 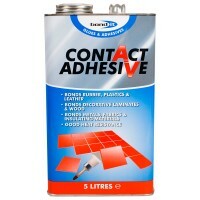 Bond It Contact Adhesive Features Size 5 litre. A premium grade, solvent-based neop.. 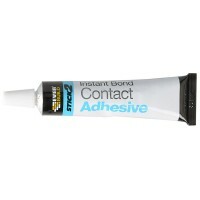 Bond It Contact Adhesive Features Size 1 litre. 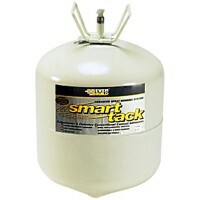 A premium grade, solvent-based neop..
Everbuild Smart Tack Adhesive Bulk Tank System 17kg Clear Features Size: 17kg. 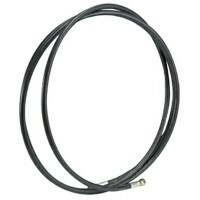 Colo..
Everbuild Smart Tack Adhesive Bulk Tank System Hose Features 3.66 metre hose for use wit ..